Even better, all full-time students enrolled in 12 units or more are eligible for a discounted Metro pass! To learn more and apply for a student discount TAP card, click here. Metro is pleased to be a part of Rio Hondo College’s Go Rio Program. 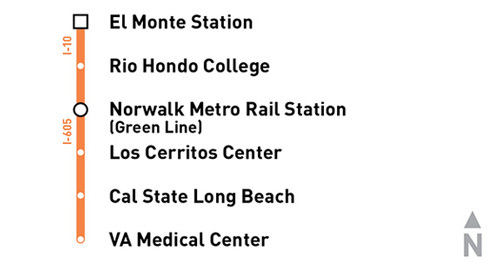 All full-time students are eligible for a $7/semester transit pass, good for use on Metro, Foothill Transit, Norwalk Transit, Montebello Bus Lines, and more. For details, visit riohondo.edu/GoRio. Tip: Use Metro’s Trip Planner to get started, or view the 577 schedule.